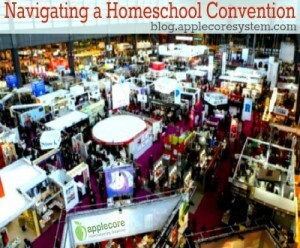 The first year I started homeschooling I was terrified to attend a homeschool convention. Just peeking at the convention website felt like information overload. Rather than attend, I skipped it completely. The second year I walked around the place in a daze. I missed half the speakers I wanted to hear because I was lost. I also forgot what I wanted to buy and ended up purchasing more toys than curriculum. I’d like to blame that on the distraction of having my boys with me, but I was alone. Really, I was unprepared. Homeschool Conventions can be a great blessing to the homeschool family and should not be harder to figure out than Algebra II problems. 1. Before you purchase your ticket check out what the convention offers. You might not be a curriculum buyer but a breakout attender. Check out the breakout topics and if any apply to your heart. Do not just go because you feel like you have to go. Go because there is something you absolutely want to experience. You might want to meet new vendors, get your hands on curriculum to flip through, or hear veteran speakers offer encouragement. Have a reason for going! Once you have a reason use it as a filter. It will be easier to navigate the convention with your goal in mind. You can weed out what you do not need to hear or things you do not want to buy. 2. When you purchase your ticket online print out the speaker schedule, vendor hall or map, and vendor list. This information is fantastic to check out before you arrive. You do not go grocery shopping without a list or idea of what you need. Do not “wing” a convention. Highlight the vendor booths you want to visit. This should not feel like a scavenger hunt. You will not win any awards for finding the Teaching Textbooks booth, maybe just free shipping. 3. Be intentional with your time and pick your breakouts before you step foot in the building. Always be flexible, but if you are running from one room checking out topics to the next it will only lead to frustration. And you might just be that “crazy frazzled homeschool mom” I was a few years ago racing into a session late just to walk out 15 minute later. It is disrespectful to the other attendees and the speaker. 4. Plan a budget. If you are going to pick up your curriculum at a convention have a budget in mind. Check out what the books cost before you go to make sure you are getting the best deal. Bring some extra cash for coffee, lunch, or those little items you not thought about before (microscope, timeline posters, pocket knives, Homeschool Moms Rock t-shirts, etc.). 5. Bring something to carry all those heavy books. My first convention I muscled 3 bags of new textbooks to the car and could not lift my arms above my head for the rest of the week. 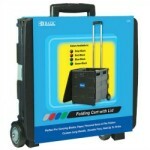 You can bring a small carry on case or craft box on rollers. It sounds inconvenient when you’re starting out, but you will be skipping back to the car while everyone else is dragging their bags. 6. Check out curriculum you have no plan on buying. Conventions are the best opportunity to see what else is on the market. I am a loyal Apologia Science user, but it is always fun to see what other science curriculum is available. I can flip through books easily without buying anything, and be reassured that I am not missing out on something. 7. Talk to vendors. I have worked with vendors and they really enjoy talking to their customers. They want to know what you have liked and what is not working. This is their opportunity to receive feedback and maybe start working on some new curriculum everyone wants. Take time to ask questions, get more ideas on how to best use their curriculum, maybe get involved with the company, see what else they do aside from creating curriculum, and just get to know the brand. 8. Follow brands on social media. Many companies now have a Facebook page or twitter account. It is far easier to keep up with a sale, new product, or store information than receiving a million emails or magazines in the mail. It is also easier to like a brand with one click than filling out all those mass mailing address forms. 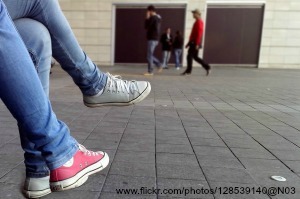 Three tips that everyone knows but we sometimes go brain dead after raising children or neglect ourselves. 1. Eat a great breakfast and bring some snack bars. Chances are you are going to get hungry and you do not want to miss a speaker because your stomach went wild kingdom and you had to leave the room. Eat a great protein filled breakfast and pack a few snacks that will give you energy not make you want to nap. 2. Wear comfortable shoes. A convention can be a long few days, and nothing is ever right next to each other. Our local convention takes up two floors and a monster long exhibit hall. Not to mention off-site parking. Unless you have a job interview with a vendor, wear comfortable clothes. People are looking at textbooks not your shoes. 3. Have fun. This is your chance to take a break from teaching and soak in encouragement. Sure, conventions want to sell you stuff, but there are so many speakers and brands that truly do care about your heart. Go with the excitement of being refreshed and recharged!